(TORONTO) – Legions of loyal Canadian drivers have helped make the Toyota Camry one of North America’s most popular passenger cars, and for the 2010 model year Toyota gives Canadians new reasons to love the Camry, with an upgraded engine and transmission in four-cylinder models that delivers Toyota’s “more power, less fuel” advantage. The 2010 Toyota Camry is available in six models, all featuring dynamic styling, impressive performance and handling, Toyota’s sterling reputation for quality and safety, and a generous suite of standard equipment. 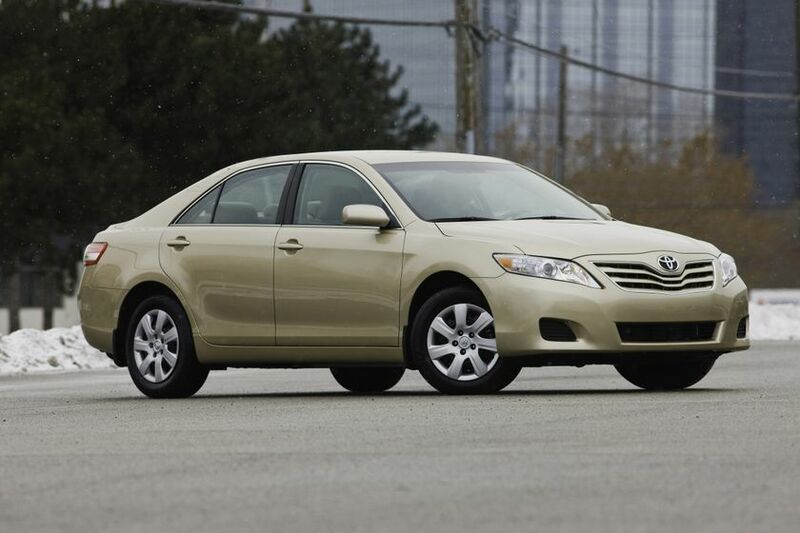 The 2010 Toyota Camry is now on sale at Toyota dealers across Canada. The Camry LE with new four-cylinder engine carries a manufacturer’s suggested retail price starting at $24,900. The Camry SE with new four-cylinder engine starts at a suggested price of $26,205. The Camry LE V6 starts at a suggested price of $28,345. The Camry SE V6 starts at a suggested price of $31,555. Finally, the Camry XLE V6 starts at a suggested price of $36,040. But this added performance doesn’t come with added cost, thanks to new six-speed manual and automatic transmissions that help 2010 Camry owners enjoy better fuel efficiency: a combined 8.0litres per 100 kilometres in those models equipped with a manual transmission, and a combined 7.7litres per 100 kilometres in automatics. Ride comfort is enhanced with 16” wheels fitted on the CamryLE, CamryLEV6 and CamryXLEV6, while the sporty CamrySE and CamrySEV6 get larger 17” wheels. All models are equipped with a full-size spare tire for additional peace of mind. 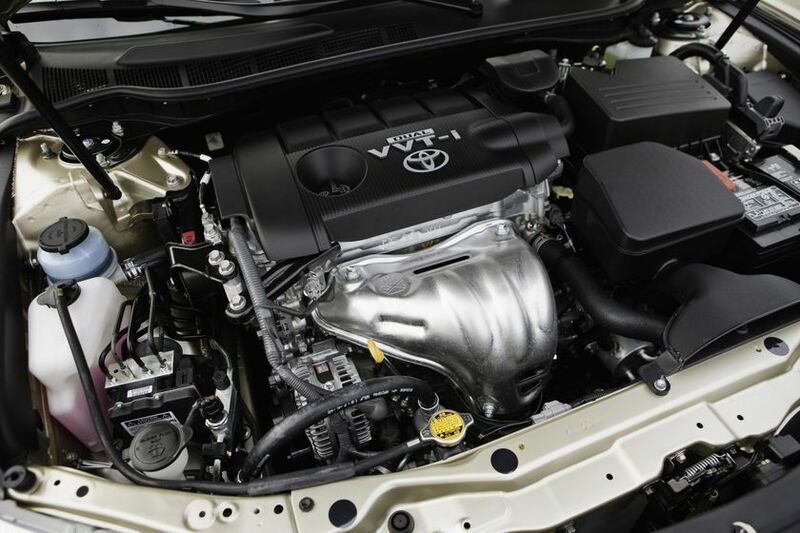 All 2010 Camry models are equipped with an engine immobilizer, while the CamrySEV6 and CamryXLEV6 also feature anti-theft systems as standard equipment. Includes: Eight-way power adjustable driver’s seat (power lumbar support, recline, vertical, fore/aft); headrest-vertical; auto-dimming rear-view mirror with digital compass. Includes: Eight-way power adjustable driver’s seat (power lumbar support, recline, vertical, fore/aft); headrest-vertical; auto-dimming rear-view mirror with digital compass; aluminum alloy wheels with wheel locks; Bluetooth capability; integrated garage door opener; power moonroof; dual illuminated vanity mirrors; rear reading lamps. Includes: Bluetooth capability; power moonroof power adjustable front passenger seat; leather seat surfaces; dual illuminated vanity mirrors; rear reading lamps. Includes: Bluetooth capability; power moonroof; power adjustable front passenger seat; leather seat surfaces; heated front seats; dual illuminated vanity mirrors; rear reading lamps. Includes: Bluetooth capability; power moonroof; dual illuminated vanity mirrors; rear reading lamps. Includes: Heated driver and front passenger seats with high/low settings; leather seat surfaces; Premium JBL audio system with in-dash six-disc CD changer and eight speakers; Integrated XM satellite radio; USB audio input; Bluetooth capability. Includes: Heated driver and front passenger seats; leather seat surfaces; Premium JBL audio system with in-dash four-disc CD changer and eight speakers; Integrated XM satellite radio; USB audio input; Bluetooth capability; DVD-based navigation system; backup camera; 7” Liquid Crystal Display. Includes: In-dash four-disc CD changer; USB audio input; DVD-based navigation system; backup camera; 7” Liquid Crystal Display.